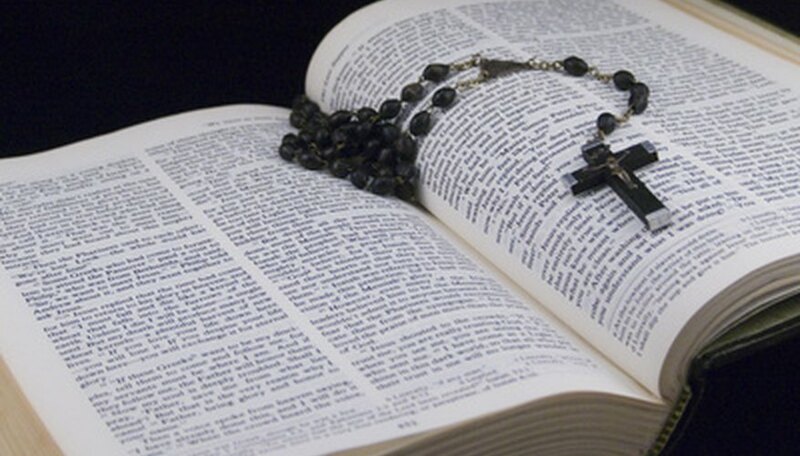 Religious items, especially Bibles and crosses, are often handed down from generation to generation and have sentimental value. Vintage religious items—including christening gowns, statues, rosary beads and nativity scenes—also can be found at antique shops, collector shows, flea markets and garage sales. If you have been wondering about the market value of a religious item you've inherited, or one that you discovered on a shopping expedition, there are a few ways to find out. Discover as much information about your religious item as possible. If the item was given to you by family members or friends, ask who gave it to them or where they got it, and find out as many details as they remember about the item. This information can help you narrow down the time frame in which your religious item was made, which can help you or an appraiser determine its value. Take the item to a religious organization if you are unsure what the item is. Choose a church, synagogue or mosque that you believe the item is affiliated with. Officials there may be able to give you an idea of the item's purpose or use, and the time period when it may have been created. Check out one of the publications listed in The Antique Roadshow's Experts' Library. Although there is not a separate religious reference category, a book in the jewelry or collectible category may have information about religious items like yours that can help you determine its value. Find a local appraiser, preferably one who is a member of the International Society of Appraisers (ISA) or the Appraisers Association of America (AAA). Search for local appraisers at isa-appraisers.org. Take your item to the appraiser for a valuation, making sure to tell him any information you have about the item to help him evaluate its worth. Take a picture of your item and have it appraised by an online appraisal site. Make sure the appraiser you used has good references and is certified with the ISA or AAA.